We'll start out slow. 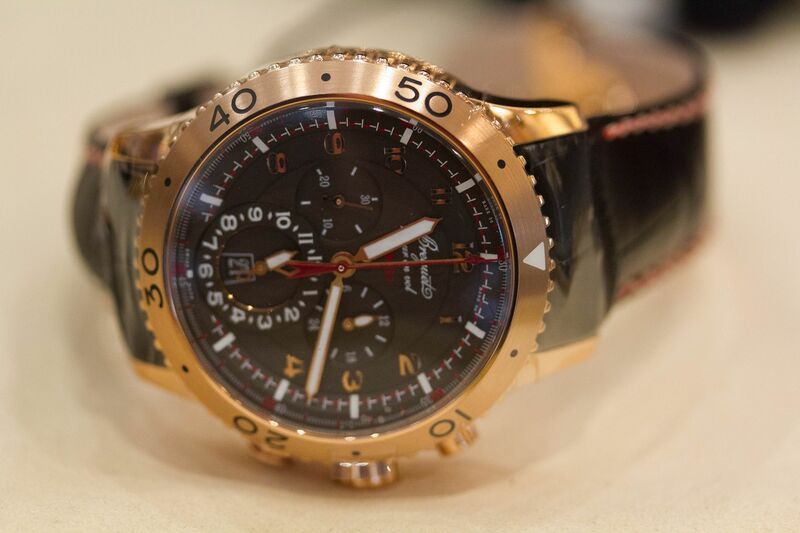 This year, Breguet updated the Type XXII 3880 with a rose gold version. As with the steel, this is a high frequency, 10 Hz flyback chronograph featuring a silicon escapement and flat balance spring. The minutes graduation in the form of dashes one red and the other white situated on the flange, combined with the numbered seconds graduation also appearing in red and white, serves to establish whether the chronograph counter is in its first (red sectors) or second (white sectors) 30-second revolution. It's a beautiful watch, along with being technologically amazing. 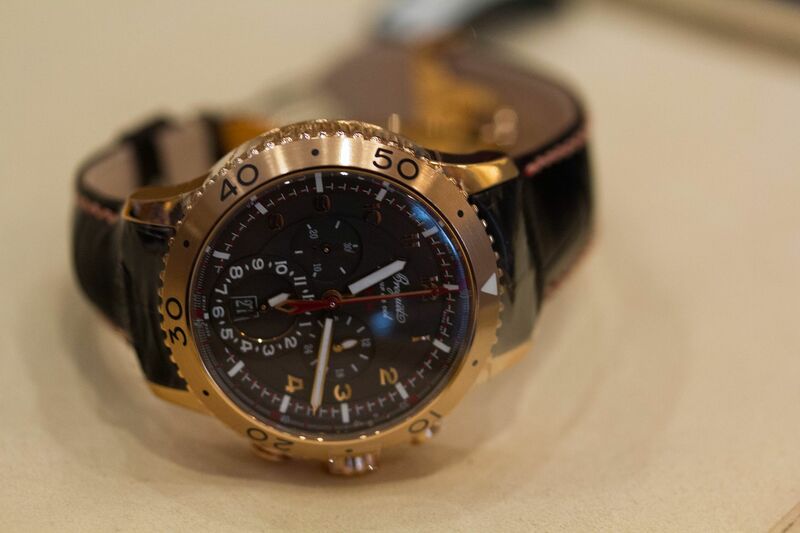 The original steel version was amazing to watch; this version is equally amazing, with the added beauty and warmth of a rose gold case and brown dial. Case in 18-carat rose gold with a finely fluted caseband. Diameter 44 mm. Round-ended horns. Two-way rotating bezel with 60-minute scale. Screw-locked crown. Water-resistant to 10 bar (100m). Brown dial signed BREGUET. Luminous hands and hour-markers. Chapter ring with Arabic numerals. Red chronograph's seconds hand on a 30-second basis at the centre. Half-minute totalizer at the centre. 24 hour indicator at 3 o'clock. Second time zone indicator at 6 o'clock with luminous Arabic numerals. Small second on a 30-second basis at 9 o'clock. Date in an aperture at 6 o'clock. Self-winding chronograph movement with flyback function and second time-zone. Numbered and signed BREGUET. Cal. 589F. 133/4 lines, 27 jewels. 40-hour power-reserve. High frequency silicon escapement (10Hz). BREGUET balance-wheel with regulating screws, silicon balance-spring. 10Hz frequency. Adjusted in 6 positions. Stand by folks! There's a lot more where these came from!